Having my nails done is my ‘thing’. It’s been my little monthly treat to myself for ages, and seeing as one of my friends has her own salon, it’s always been fun to catch up with her while getting my nails done. The problem with this now is that with a baby and a new business on top of everything else, well, I barely have time to do anything these days! Including getting my precious gel manicure! I’m always on the look out for alternatives that will last better than normal nail polish – because nothing annoys me more than chipped nail varnish on my fingers. 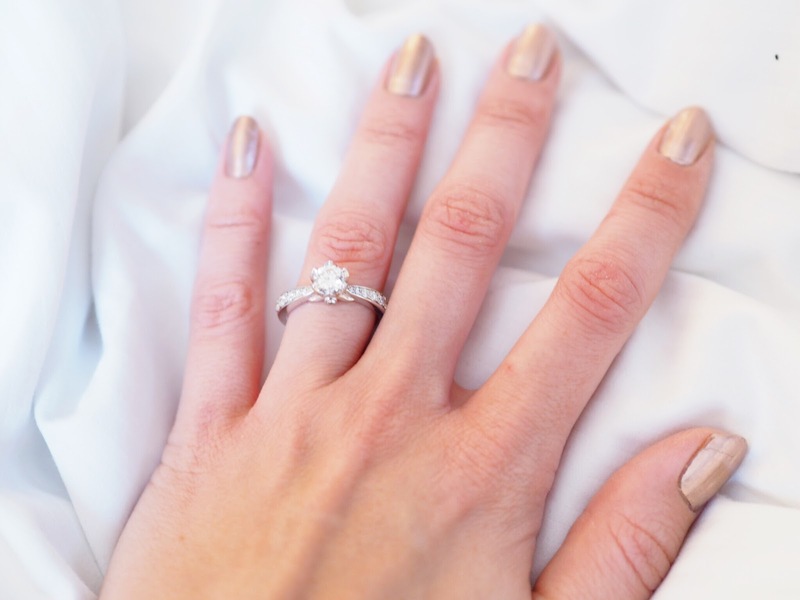 Let’s face it – nothing will last like a professional gel manicure, but can anything ever really come close? I’ve found a couple of brands this year who genuinely will give you gel like quality at home. They will only last slightly less than a profession job and I’ve been really happy to do my own nails with their products. 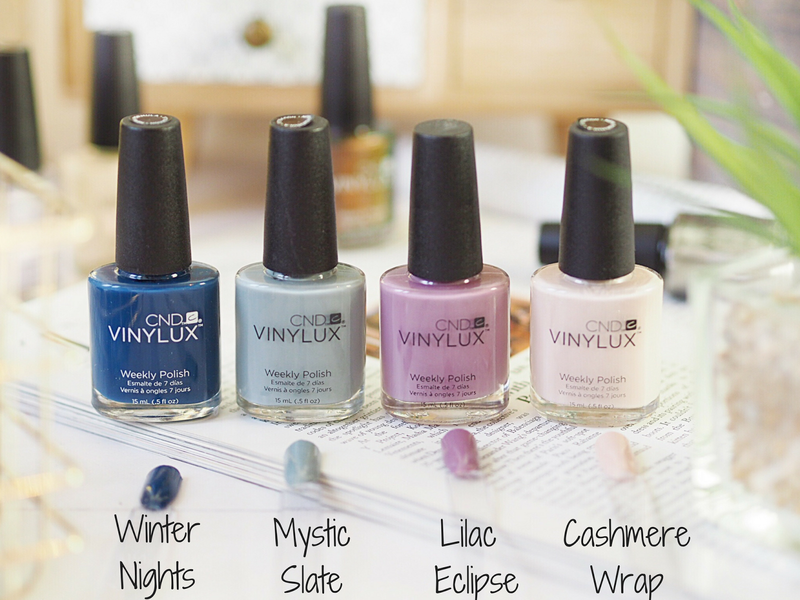 One of these brands is the very lovely CND Vinylux. By total coincidence I already knew about their brand (CND) because my nail technician/friend uses their products herself. So I knew already that they are highly performing and if they are good enough for the pros, they’re good enough for me! So trying out their Vinylux Weekly Polish has been something I’ve been enjoying a lot. 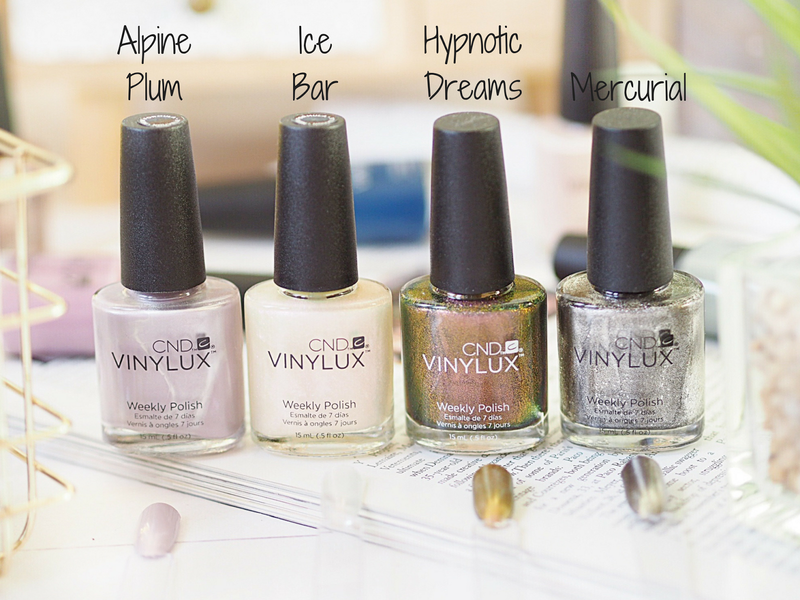 How the Vinylux Weekly Polish system works is that you pick your chosen shade (there’s over 100 to pick from!) and apply two normal coats. 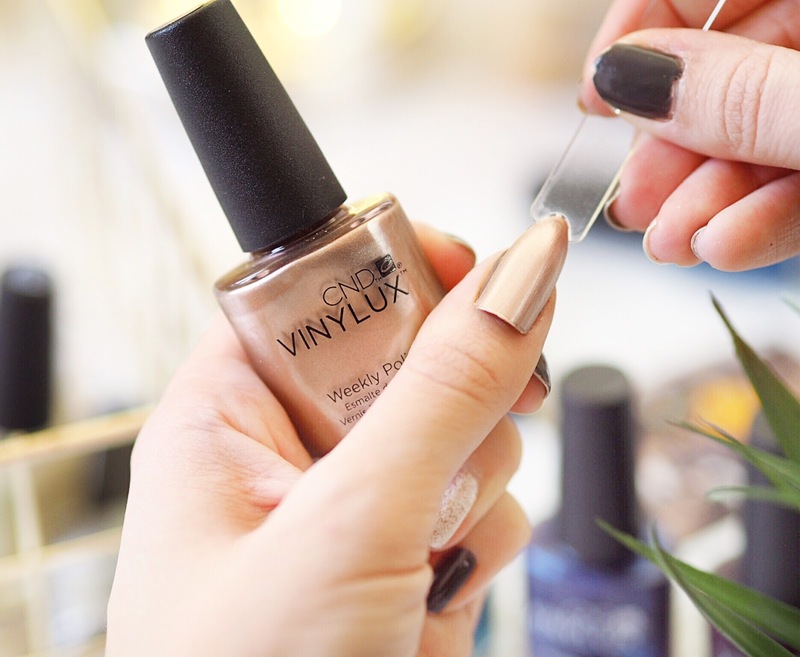 You then seal with the Vinylux Top Coat which has a super shine finish. It’s this step that really gives your nails the professional shine that you get with a gel manicure. The Top Coat is really impressive and the first time I applied over my chosen colour, I couldn’t believe how much my nails looked like they’d been done professionally! The shine is that good. There’s no need for UV lights or lamps, all you need is two coats of colour, one coat of Top Coat and voila – salon like shiny nails. And this is one claim I can 100% back up. Once dried and set they don’t feel sticky and they last pretty well. 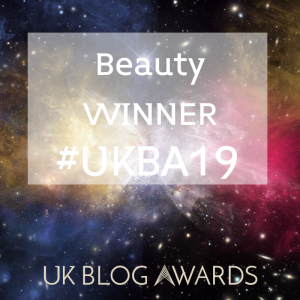 I get a week worth of wear without major chipping and then I refresh with a new shade – there’s just so many gorgeous ones to pick from, and a girl’s gotta try them all, right! The newest collections are the Glacial Illusion range and the Nightspell range – both are perfect for autumn and winter nails and they have a mix of matte finishes, shiny, metallic and gorgeous, almost holographic finishes too. The ranges together are absolutely swoonworthy! 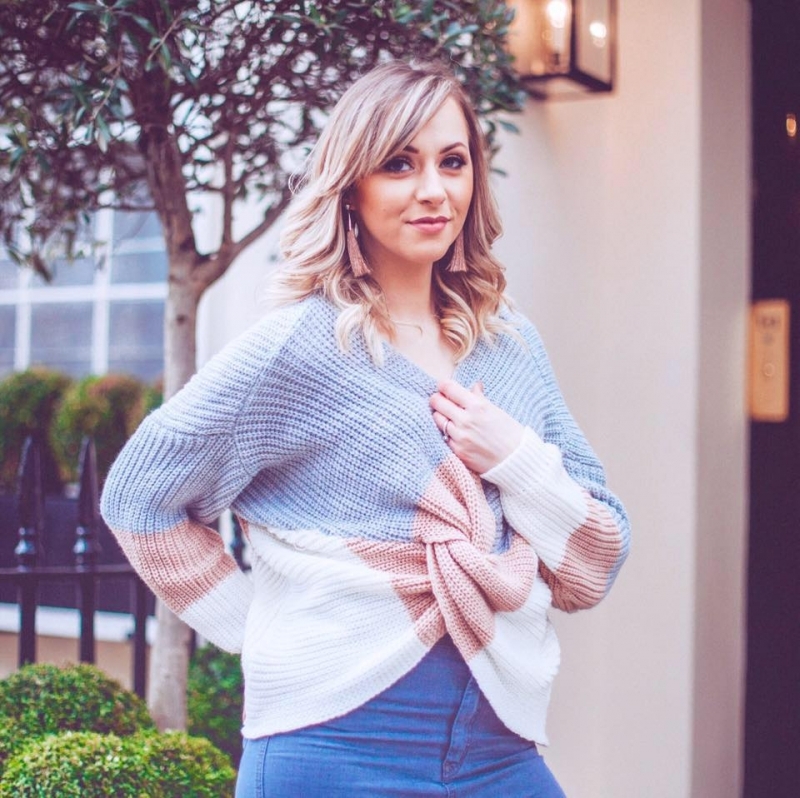 They have the perfect range of muted neutrals for autumn and causal outfits, but they also have the glitz and glamour shades which are perfect for party season. So between the two ranges you’ll be spoiled for choice. 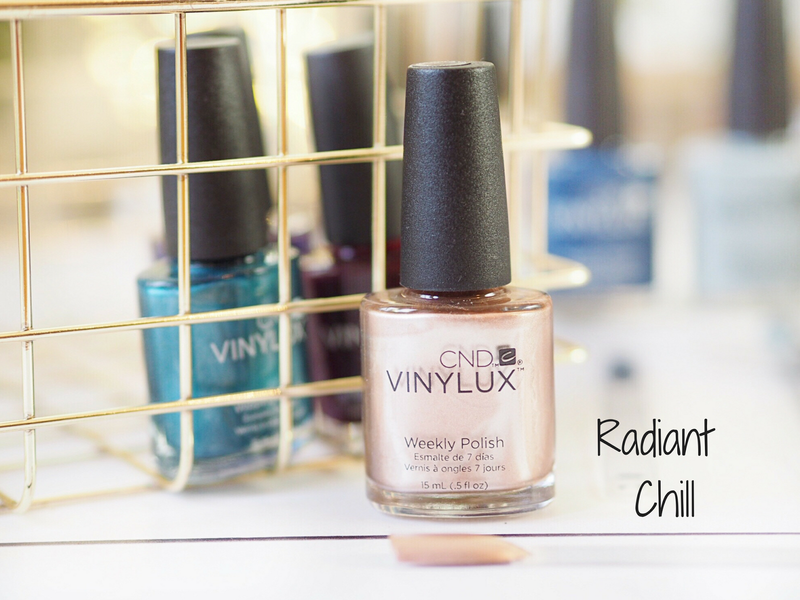 And I was super happy to be sporting my favourite shade ‘Radiant Chill’ when my boyfriend proposed at the weekend! 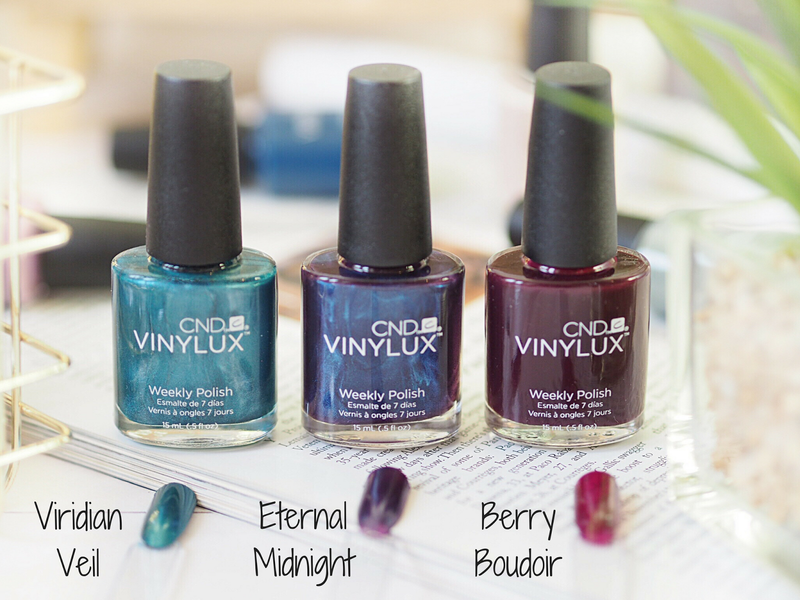 Each Vinylux Weekly Polish is £12.95 and well worth every penny for how high they perform. My nails look like they’ve been done in a salon but take barely any time to do at home. Check out the rest of the range here. Next Post Mii Cosmetics Do Christmas!